SQL Saturday #169 - One Week Left! 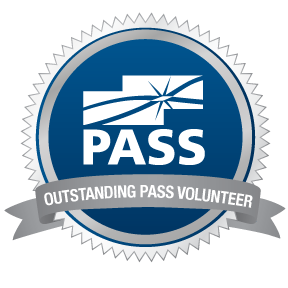 Only one week left to submit your sessions for SQL Saturday #169 in Denver on September 22, 2012! If you have a topic to share and you are going to be in the Denver area on September 22nd, please submit your session for this great event by 7/31/2012! We are still looking for sponsors as well, so please take a look at the sponsorship options that we have available and register here. If you are going to attend the event, we ask that you register so that we know how many to expect. Looking forward to putting on a great event in a couple of months! Wanted to put out a quick post that I have not had the time to put up until now. If you are going to be in the Denver, CO area around September 22, 2012 I would encourage you to register for a day of SQL Server technical training given by many local and national speakers. 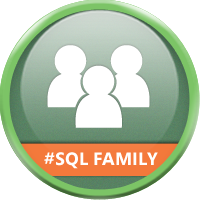 Yes, that's right we are doing SQL Saturday #169 at the same location as 2010, Cherry Creek Presbyterian Church (10150 E Belleview Ave., Greenwood Village, CO 80111). We are asking that anyone that registers pay a $10 fee for lunch, this will help us to provide all attendees with a lunch that is not pizza and provide plenty of beverages throughout the event. Please register to attend and we look forward to seeing you there! If you are a speaker, please submit your session abstracts on our Call for Speakers page. And if you are sponsor, please go to our Sponsors page to help us out! 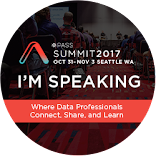 I would also like to mention that Brian Knight, Founder of Pragmatic Works will be presenting a 2 day SSAS workshop on September 20-21 at the Denver Microsoft office (7595 Technology Way, Suite 400, Denver, CO 80237). If you are interested in attending that event, you can go to the Pragmatic Works registration page linked here. You will need to bring your own computer to that workshop with the SQL bits already installed along with AdventureWorks installed, more details can be found on the link above. Also, in other SQL Saturday news I will be presenting at SQL Saturday #159 in Kansas City, MO on August 4, 2012. Looking forward to getting some great BBQ in Kansas City and presenting my "SSIS 2012: More Than Just a Pretty UI" session, so come see me if you are going to be at SQL Saturday #159! I will post more on my presentation at SQL Saturday #159 and our own SQL Saturday #169 over the next few months!